Edith Thomas, London, by descent from the artist in 1948. Charmion von Wiegand, New York, by 1959. Hanover Gallery, London, by whom acquired on 26 July 1955. Anonymous sale, Sotheby's, London, 30 November 1972, lot 153. Abbatt, by whom acquired at the above sale. Anonymous sale, Sotheby's, New York, 9 November 1979, lot 965. Anonymous sale, Sotheby's, New York, 13 September 2005, lot 109. K. Orchard & I. Schulz, Kurt Schwitters, Catalogue raisonné, vol. 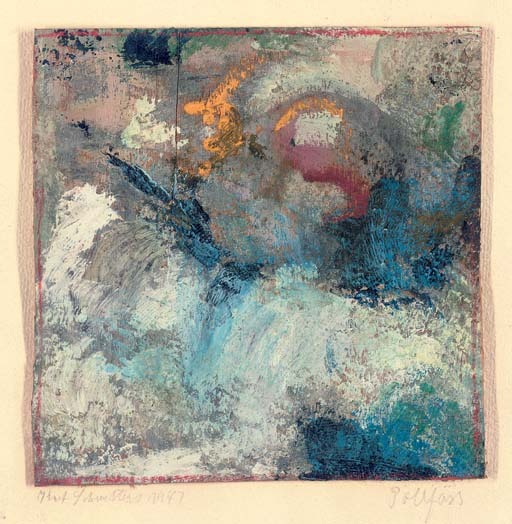 III, 1937-1948, Hanover, 2006, no. 3421 (illustrated p. 585).